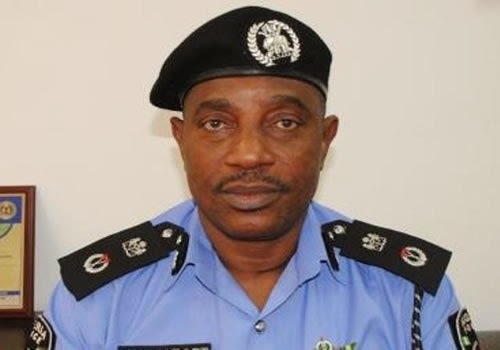 The Inspector-General of Police, Solomon Arase, on Tuesday appealed to the public not to corrupt personnel of the police by giving them bribe. Mr. Arase made the appeal while fielding questions from journalists during a meeting with senior officers on the issue of whether or not, bail was free. “We have a zero tolerance for payment of money to free suspect. I am appealing to members of the public, not to corrupt my men; It takes two to tango. “If they ask you for bribe and you refuse to give, and you have avenues where your grievances can be ventilated, I do not see any reason why you should give them bribe. “The Commissioner of Police is there; the Area Commander is there; the DPO is there; and the technical platform (to report corrupt policemen) is there. “We have opened ourselves to public accountability. So, you cannot now say the whole problem should be blamed on the police force’’, he said. Earlier, the I-G had announced that two suspected kingpins responsible for the spate of the kidnappings in Ekiti state, had been arrested on Tuesday morning. He also said that cultists operating in Edo State had been dislodged, with the arrest and transfer to Abuja, of 11 suspects believed to be their leaders in the state. Mr. Arase, however, described Kogi, Rivers and Benue as problematic states in terms of crime, and promised to deploy personnel to those states in 48 hours to tackle the problem. He directed Commissioners of Police to report threats to security in their respective states to the Force Headquarters for intervention. He threatened to sanction any commissioner who allowed security situation to get out of hand and caused embarrassment to the nation before reporting it for intervention. Mr. Arase said the meeting was called to assess the success of special operations embarked upon by the police in Edo and Ekiti states in the last two weeks. The I-G also said the police would map out strategies to ensure hitch-free inauguration of elected leaders at both the federal and state levels.